The mysterious beauty of an early morning is surpassed by the beauty of strife for a calm and pleasant life. It is good earth and good people who assuage the brunt of grinding poverty and skyrocketing prices. One of people who lives in the vicinity has called me to give way some of his vegetables that grew profusely after he had sown with the fall of the first of monsoon rains. From another house arrived two plates including some edible wild plants. These included:”Mulaita” can prepared after washing as salad and “Tamalaika” and this one must be cooked with onions and tomatoes. 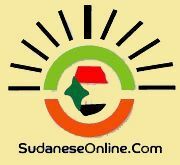 I thanked both families which lived a way of life Sudanese love calling “Gadir Zarfaq” which means to live with your means buying fewer foods and other homely objects in infinitesimal quantity regardless of being consistent to quality or an attainment of nutritional sufficiency. There is butchery on the street where my house lies. I see a butcher on his scale places some broken bones with a meaty appearance. Women leave pressing them into their fists to give flavor of meat to their siblings. Such women in the former times faced the paucity of sugar by drinking sugar with a pinch of salt and coffee with dates. Such a situation was endemic in Sudan. What is the consequence? It has become the origin of today’s wisdom of acquiescing to the escalating prices:” scarcity is worse” “Subject to indignity your money, but not yourself”. After a small breakfast, I leave home this morning in order to paint a picture for you of the scene of how people struggle to keep their chins above water here in Gedaref in Eastern Sudan. I have made some visits to some friends. Gaffer is an active member of communist party. He works as a private tutor on his wheel-chair in his bed-room. I Interrupted his dictations and distracted his students’ attention to greet him. His smile of equanimity expressed what is left un-said: Sudanese irrespective of their handicap and doctrines can be useful to their families and community. Kamal is a graduate of economics and political sciences from University of Khartoum .He works as a driver for Pepsi Cola Plant. H3e could have his mark in another field. I asked him why he didn’t apply to job in the public sector. He replied that he did innumerable times, but getting work is based on nepotism, not on a merit. In the past, our virgin girls sung for a suitor who is dressed in “Jalabiya” a traditional Sudanese robe which is spotlessly white and ironed. Now, things have changed. They sing for “ Rajil Mara”. Rajil Mara is a married man with bulging pocket enough for post-marital years. Those young men I met deserve to be a cause of an enchantment for their purity, honesty and decent struggle for a better life. The visits are over. The sun has sunken with words that I have just written. I hope that they will be like those words of MacNience”…lure the birds that nest in our day as if it were always the morning, their dawn song is theirs and ours waking me and you:.